What’s the most HUMAN thing about Branding? To give myself some fresh breeze, I oft-times discuss fashion, trends, brands and colors with my unplenty-20, super bright colleagues. It is mighty educating to know how teens and young adults process brands. Here’s what they do. They fill themselves with every little detail about the ones they sport – From the founders of these brands to the lives they live and how! And, not to miss, these very many details are influential factors in the ‘trying’ decision. It’s the STORY behind the label. And, the way stories build and maneuver brands is only evolving as an essential marketing tool – a weapon, if I may say. Our websites now move with a background score that stealthily projects a story, our news is less information and definitely more stories! In the highly connected and data-linked media forms, each story goes a long way – and, let’s face it, we all have a massive appetite for story feeds in every form they come in. Personally, as a writer, stories have been a fodder to me and as a branding communications creator – stories are the ‘real’ work. Right now, we are a like a summation of stories (as against what seems truer – its not DATA, darling!). Story-telling goes as far back to the caves. Kids have always reveled in it. You know your history if you remember the stories. Even the religion, you follow. So, why this sudden emphasis when it’s not even remotely new? 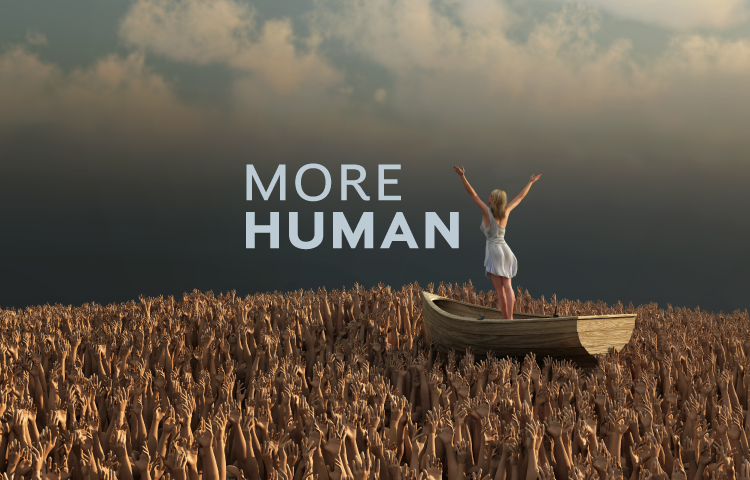 The answer lies in the rise of the social media living, and the current marketing trend – Human to Human (#H2H). The concept of B2B or B2C or B2X is fast dissolving. A story – after all, can only be told by a human, to a human! When you want to sell me something, tell me what I can fathom without effort, ‘coz here I am dealing with a thousand clickables a day, mostly, randomly! A story, however, might be interesting. Make it refreshing though and a spoon of compassion would work just fine! Besides, ‘Human to Human’ sounds pretty tantalizing, doesn’t it? Superb, what a webpage it is! This webpage gives useful facts to us, keep it up. Thanks Carina. Glad you liked it.